My father had cancer. He was a trained pianist and classical Spanish guitarist. When he could no longer play, he listened to music in the living room. That went on for months. When he could no longer sit up on the couch, he moved to the bedroom, into which I moved his speakers. Months passed. When he left the house for the last time, the doctors gave him a week to live. They didn't know about the music. I brought a pair of headphones to the hospital. He lasted another six weeks. It was the last thing he enjoyed before he died. At least that's what he told me, and I believe to this day. "Anyone who has ever been proximitous to cancer—whether as a patient or a loved one of a patient—knows how awful it is, how corrosive. Anything that can alleviate even a scintilla of its physical and emotional effects on the sufferer and those close to them should be welcomed. To that end, Nolan Gasser, chief musicologist (now emeritus) at the music site, Pandora, and architect of the company’s music genome project—which seeks to align the musical “identities” of songs with the music preferences of listeners—is collaborating with Memorial Sloan Kettering Hospital in Manhattan to pilot an “algorithm” to provide personalized musical therapy for cancer patients. 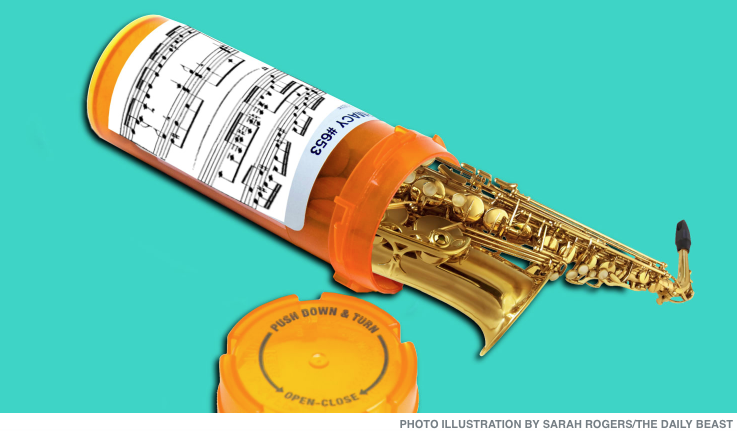 The idea is to align the intrinsic musical attributes of a piece and the tastes of a patient. The result would formulate playlists to alleviate patients’ pain and anxiety." Read the rest of the article for yourself.